DC Thomson newspaper the Evening Telegraph celebrates 140 years - D.C. Thomson & Co. Ltd. 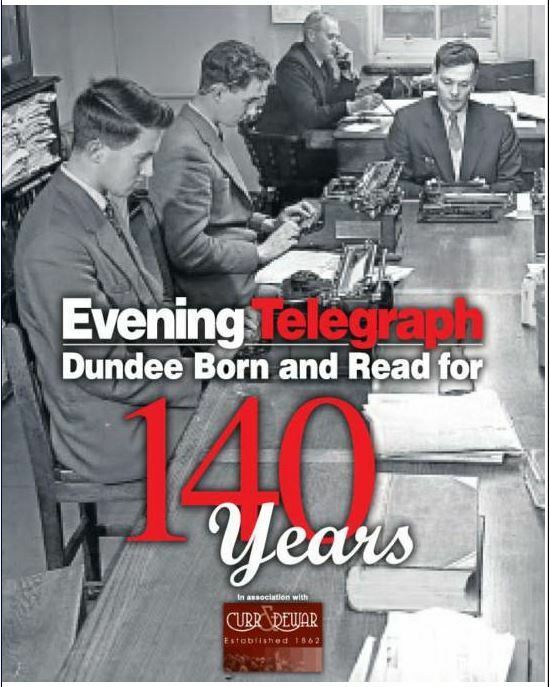 The Evening Telegraph, Dundee’s best-selling paper, is celebrating its 140th birthday. The Tully, as it is affectionately known to generations of Dundonians, first published on March 13, 1877 under the auspices of publisher John Leng. Some 42,848 issues later, the paper marked the anniversary on Monday with the publication of a souvenir magazine recounting its history. The edition also went out with its current masthead replaced by that of the first Evening Telegraph back in 1877. Editor Steven Bell said: “We’re proud to be the go-to source for people wanting to know what’s happening in Dundee and beyond, just as we have been for the past 140 years. “The city has changed a lot in that time, and continues to evolve today with the £1billion transformation of the Waterfront, the creation of the new V&A Museum and so much more. The Evening Telegraph is part of the DC Thomson stable, which also includes The Courier, The Press and Journal, Evening Express and Sunday Post. It publishes six nights a week following the launch of a Weekend edition last August. The staff of the newspaper will soon be transferring from their current Kingsway base to new state-of-the-art offices at Meadowside in the city centre. The editor added: “Although this is a rare chance to look back, the Tully is very much focused on the future.